I remember being told back during orientation that I would never run out of my meal swipes, and that I should choose the meal plan with the fewest. As a freshman, that meant choosing the Garnet Plan — 275 swipes instead of the roughly nine swipes a day provided by the Phoenix Plan. In light of my three-full-meals-a-day schedule during high school, 275 meal swipes seemed like a reasonable amount to use per semester. There were even a couple of times in September when I calculated how many I had left to make sure I wasn’t going to run out. Yet, as the semester dragged on, I was surprised by my inability to put a dent in my remaining swipes; by the end I still had over 120 left. I rarely eat a full breakfast, instead opting for fruit from Sharples dinner the night before, and often grab lunch at Sci or Kohlberg since it is easier and the offerings are more predictable. This doesn’t mean that I spend my own money — last semester I managed to stretch my Swat Points and Dining Dollars all the way through finals. I simply have more swipes than I need. The same is true for just about everyone else I have talked to. At the same time, almost everyone I know, freshman or not, runs out of their Swat Points and Dining Dollars. Without financial aid, all of Swarthmore’s meal plans cost $7,536 a year, by no means a negligible amount. The breakdown of all that money is rather surprising. Take the cost of each individual meal swipe. Before I tell you, think of a value that you would find reasonable to pay for a Sharples meal if it were a restaurant. Is it more than $10? Depending on your plan, you could be paying far more. Your swipes become more expensive the fewer you buy. Garnet Plan swipes are worth only $12, Phoenix Plan swipes are about $14, and Parrish Plan swipes are nearly $18. To be fair, you are trading for more Swat Points and Dining Dollars, but the tradeoff is far from equal. For 125 less meals, you get only $400 more points. Even these seemingly high numbers are deceiving. Given that most students have leftover swipes at the end of every semester, the amount they pay for each meal is technically higher. For me, with my 120+ leftover swipes, over $1400 worth of my meal plan went down the drain last semester. As someone on financial aid, this is not the price I paid, but much of Swarthmore’s financial aid comes from donors and I know of many other students in similar situations. If I eat at Sharples the same amount this semester, another $1400 will be wasted. 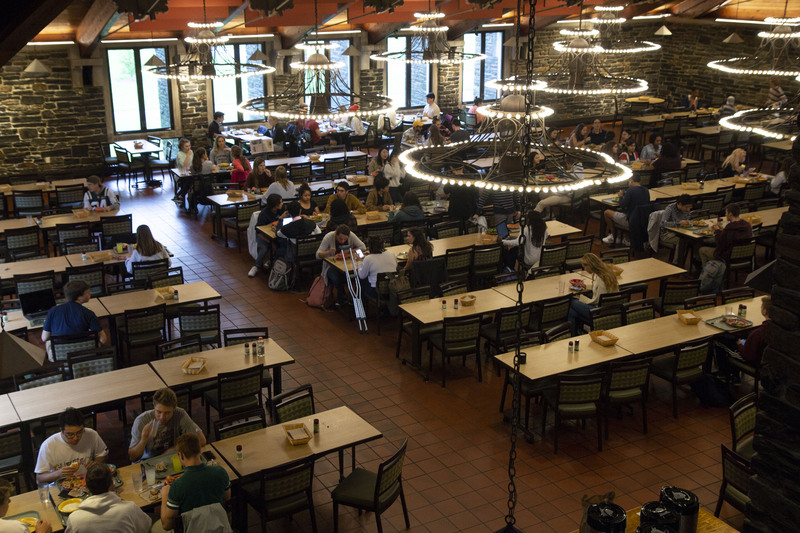 According to the operating budget available on Swarthmore’s website, the school brings in roughly $12 million a year from the meal plans, including the subsidy of financial aid. Yes, the college has to pay to run Sharples, but all food establishments have maintenance costs, and many do so with lower prices and (dare I say it?) better food. It seems logical that the scaled-up food service at Sharples even helps with individual meal costs. If all that money is actually needed, students should have greater control over how their money is spent. Swarthmore has a reputation for a commitment to the economic well-being and equity of its students. This is apparent from its “cash-free” campus to its unique need-blind admissions and loan-free financial aid. In this context, the meal plans are perplexing. Why are they so expensive and why do students have such limited control? Private colleges are known for their exorbitant price tags, but in no way does that mean the details of their expenses should be ignored. The fact that all meal plans have a standardized price is a wonderful product of this commitment, but forcing students to pay for meals they will never use is unnecessary and abuses the standardization. I am not proposing having differently-priced meal options, but students deserve more control over what they are buying. Allowing students to choose the exact amount of money they allocate towards swipes, Swat Points, and Dining Dollars would be easy and far superior. There could simply be a minimum number of swipes and Swat Points students have to buy to sustain Sharples and the other food services. At the very least, the college should stop limiting first-years to the two meal plans with the most swipes. It is wholly unnecessary and forces them to spend money on something they will not use. Just because a minority of people may need all the swipes they can get does not mean everyone should be forced to pay for the same. For the handful of first-years who may run out of their meal swipes, an on-campus meal swipe donation system could be set up at the end of the semester to ensure other students have enough Sharples meals, something other colleges such as Wesleyan have. My knowledge of the breakdown of Swarthmore’s food costs is far from comprehensive, but it forces me to pay a lot of money for something I don’t use or value much. 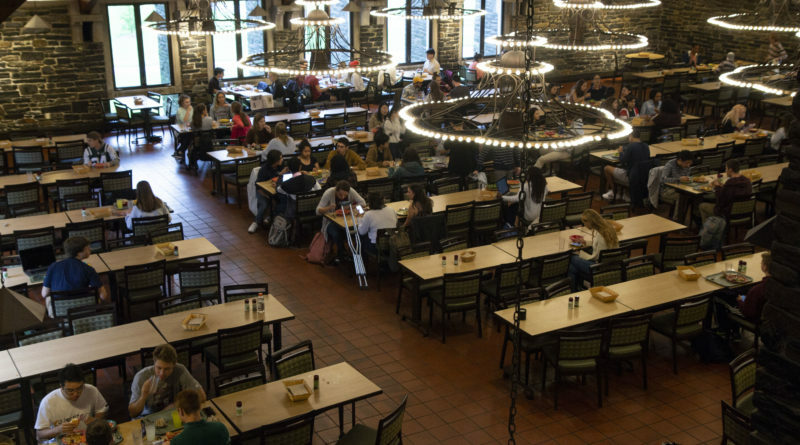 Meal plans are meant to simplify the eating process for college students and prevent them from spending lots of their own money, yet Swarthmore does not seem to be accomplishing those goals. Perhaps the most dismaying way of looking at the cost of my meal plan from last semester that I found was to calculate what portion of my plan went towards each swipe that I did use: over $21. That is the true cost, not only of each Sharples meal, but of every Crumb Café bubble tea or avocado toast, and even that one time I swiped into Sharples just for a banana. $21 for a banana. Larkin '22 is a writer from San Francisco who honestly has no idea what he is doing. He prefers cats to dogs, though dogs aren’t bad.